Our expert advice and products can help improve the overall power and economy of any 4WD, performance or custom car, without compromising quality. Over 200 different 4WD exhaust kits available! Beaudesert Exhaust is Australia’s largest mandrel bends stockist and supplier. Our mandrel tube bending machines can bend from one and a quarter inch to five inch tube at a variety of degrees with ease. We manufacture customised mandrel bends, roll bars and headboards. Conventional exhaust bending can cause a range of problems for your vehicle. Tubes can collapse or crimp during the process, but with mandrel bending the size and diameter of your pipe will be increased with ease. Stuck for that perfect gift idea? Give someone special a gift guaranteed to impress with our online gift vouchers! Perfect for a last minute gift idea! "The V8 rumble from my 79 Series Double Cab after fitting the 3 1/2" exhaust is outstanding! I fitted the Manifold Crossover pipe as well and there is no 'thong slap' at all, just a great deep note, like a V8 should be." "I put a 3" exhaust on my Ford Ranger PX 3.2L and found that I had a big surge of power but lost my torque. I pulled the 3" off and put the 2 3/4" exhaust on and what a difference it has made! I have picked up more torque from standard and the same power as the 3" exhaust. The saying is true, bigger is not always better!" "Always sceptical re. adverts and having read a bit, for and against, etc, I decided to dyno before and after the fit. Took me a day messing about to fit (old bolts always the culprits), but the final dyno amazed me. The results were: Kw up by 19.5% and torque up by 15%." "My father and I fitted the exhaust yesterday in about four hours. The instructions and parts that were supplied were absolutely great. There were no problems with the fitment what so ever. I am very happy with the final product as it has opened the ute up so much more than it was before. The boost seems to come on earlier and is not as sluggish of the line anymore." I have fitted the exhaust which went together really easy with no hassles, even the manifold bolts came off with ease. and the family can have a conversation without yelling. in saying that the 4.8 isn't great on fuel anyway. Once again thank you for the great service you provided to me and I believe this is money well spent. Mate, just letting you know the new exhaust system you fitted to the Navara has made a huge difference. I did a trip out to Millmerran recently with a 2.8 ton caravan … the vehicle has never performed so well and better fuel economy. Towing the van is usually 16.5/100km … last trip was 13.8/100km and I didn’t drive it any different to usual. Hi to all at Beaudesert Exhaust. We just wanted to share with you the total satisfaction we have experienced since installing your exhaust system on our 3 litre Auto Patrol. so much changed about our truck just prior to installing the exhaust. purchasing the truck as it was just so under powered for the task. Normal everyday driving it was satisfactory, nothing extraordinary. In June I set about installing our comprehensive very weighty storage system, then we hooked the van up and headed to Qld. actually improving and keeping pace better with travelling companions. enquire if you had an exhaust in stock and more importantly, if it could be installed without delaying our travel plans. I was most pleased to hear yes on both accounts, so we called in as Mark had organised and had the installation done. catch up with traveling companions. I immediately noted the very impressive torque improvement, fetching the van from a standing start much quicker. The truck was holding gears much better utilising lower revs and greater torque. we would have watched them disappearing into the distance on previously. system installation checked over and issue resolved. Thanks to all involved in having this occur without impending on our travels too much. What can we say about our Patrol now that we are home and travelling routes that are familiar to us. than it did without all that weight, it holds gears much better ascending climbs now locked up in gear without dropping out to slip on the convertor. I am most satisfied how it towed our van since leaving Beaudesert. Please accept a HUGE THANK YOU from us. we understand sometimes the job can be daunting, especially without access to a hoist. 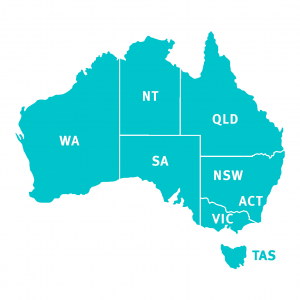 Don’t worry though, we have installers all around Australia. ‘Click Here’ to find the one closest to you.